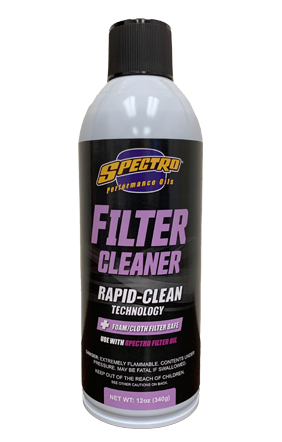 The ultimate time saver, an invaluable piece of maintenance equipment, Spectro Filter Cleaner is an emulsifying agent that picks up and slicks away water soluble grease and oil— and leaves the filter squeaky clean. Use in all off-road competition motorcycle air filters, except paper types. For best results, use in combination with Spectro Filter Oil. No fumes, no flame hazards, works its wonders in a bucket of warm water.